It's your park -- get to know it! 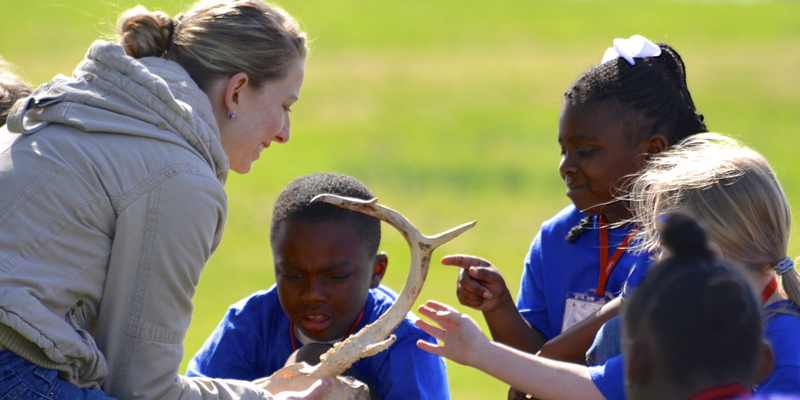 Shelby Farms Park is a living classroom, and the Park team can help you get to know it! Whether you want to take a guided tour, have a hands-on encounter or venture out on your own, we can help! Check out the links below to get started. Guided tours introduce visitors to the history of Shelby Farms Park and to the plans and amenities that are shaping its bright future. These tours are led by interpretive docents, and the programs can be customized to accommodate all abilities -- from highly activity walking tours to drive-through tours for groups with limited mobility. Tours must be scheduled in advance. Take a hands-on walking tour of the native tree species that call the Park, "home!" Guided arboretum tours provide an opportunity to see, touch and ask questions about these special trees. Groups of 10 or more are encouraged to make a $25 suggested donation to help keep the Park clean, green and safe. Please send an email to cfortenberry@shelbyfarmspark.org. Shelby Farms Park is an outdoor classroom, and field trips can be customized to help you bring traditional classroom lessons to life! Programs are led by a certified educator and/or interpretive docents, including certified naturalists. Mysterious Mammals | Get to know the native mammals that call the Park, "home"
Reservations for field trips and mobile classroom visits must be made at least 10 days in advance, and a $25 deposit is due at time of reservation. For more information, pricing and to reserve your field trip or mobile classroom visit, please contact Christina Fortenberry at cfortenberry@shelbyfarmspark.org or (901) 222-7265. This free resource was designed to help students and scouts get an up-close look at the plants and animals that call the Park's ecosystems, "home." Hard copies can be picked up by contacting Christina Fortenberry at cfortenberry@shelbyfarmspark.org, or you can download a digital version here. The Shelby Farms Park fun patch is available for scouts of all levels! Patches are available for purchase ($1.50 each), and can be ordered via email at cfortenberry@shelbyfarmspark.org.